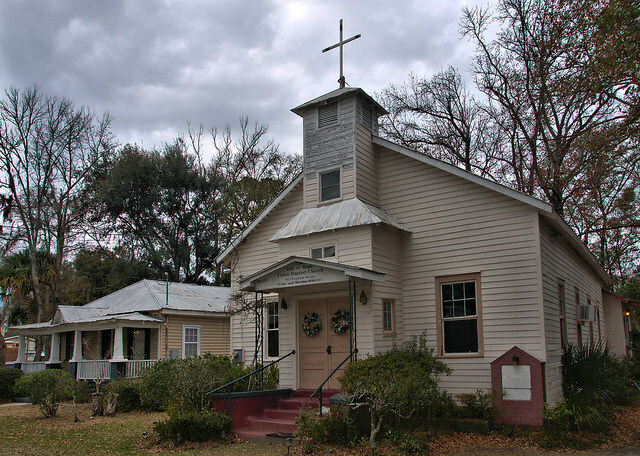 This historic congregation was organized on 23 June 1873 by Lucius Houston, John Simmons and the Reverend Quives Frazier. The present structure was rebuilt to replace the original meeting house in 1941. Reverend Collins Tilson was pastor at the time; Jacob Golden, Frank Elliott, Israel Elliott, Isaac Golden, and Norman Thomas were deacons. The cornerstone was placed in the Masonic tradition.